Can you believe the word “bromance” has now made it into the accepted lexicon through its addition to the New Oxford American Dictionary? I, for one, could not be more tickled. Imagine: men now have their own word that captures our platonic affection for each other. Will “manfriend” be far behind? To what can we credit this? Men have always had guy friends but, until fairly recently, showing affection physically and verbally toward that guy might brand you as gay. Many years ago – think back to the 19th century and earlier – it was okay for men to share their affection for each other. Sociologist Peter Nardi notes that men would express love to each other in their letters. Abraham Lincoln, before he became president, shared his bed with his good friend, Joshua Speed. These non-sexual relationships, born in Lincoln’s case out of financial necessity and physical warmth on cold Springfield nights, became frowned upon by the late 19th century. With changing women’s roles and with blacks entering the workforce, white men were threatened. They adopted a hyper-sexualized sense of masculinity, according to sociologist Michael Kimmel, which came to exclude the physical and emotional expression of positive feelings towards another man. Freudian psychology further concretized beliefs about “normal” development which did include homosexuality. All of this fit well within the American culture’s sense of “rugged individualism” that obtains to some extent today. Many heterosexual men would not feel comfortable today sharing a bed with another man or going to an intimate French restaurant and opening a bottle of Pinot Noir. Relocate to the sports bar instead. There, men can carry out their shoulder-to-shoulder friendships as they get together with friends to “do something.” Contrast that with women’s face-to-face friendships where they feel more comfortable talking to each other without the distractions of sports. Given this, it is interesting that the culture has grown within the last few years to allow men the freedom again of expressing their affection for each other. Movies like, “I Love You, Man” starring Paul Rudd have helped. Commercials that joke about men being close with each other also help. To my thinking, anything that allows men (and women) to express themselves more openly is a good thing. If giving a term to close male friendships is what it takes, I am for it because people with friends live longer, healthier lives. 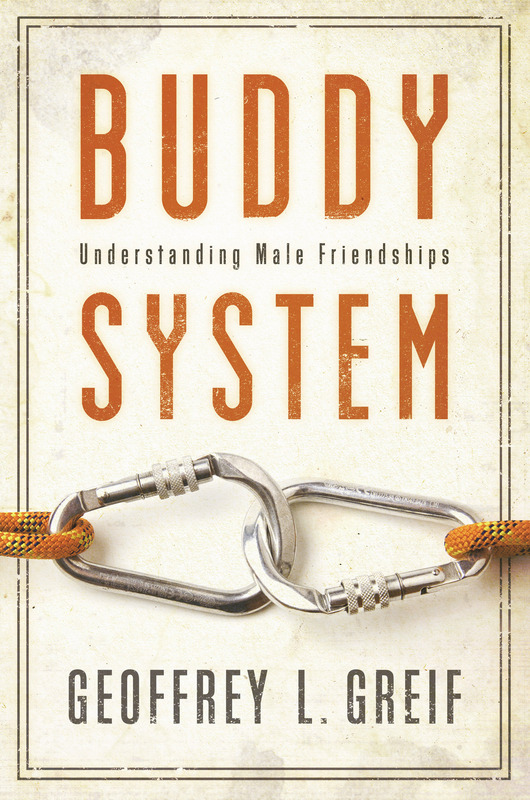 Geoffrey Greif is Professor at the University of Maryland School of Social Work and the author of Buddy System: Understanding Male Friendships. This is a great snippet of bro.